Assad regime confirms claims by opposition group that Israeli aircraft hit government arms depot near Damascus. The Syrian government confirmed Tuesday morning claims circulated by Arab media outlets and Syrian opposition forces that Israeli Air Force fighters struck a Syrian army weapons depot outside of Damascus in a pre-dawn operation Tuesday morning. According to a website aligned with anti-Assad Syrian rebels, at least four Israeli fighter planes were involved in a pinpoint strike against an army base in Al Qutayfah, northeast of the Syrian capital of Damascus. Initial reports claim that the jets fired a barrage of four air-to-surface missiles, which were launched while the aircraft were in Lebanese airspace. The anti-Assad Qasioun News Agency added that a number of surface-to-surface missiles were also fired from Israel at the Syrian military facility. Witnesses say explosions were heard east of the Syrian capital. The Syrian army confirmed the reports, saying Israeli forces had conducted both airstrikes and artillery attacks on regime targets, AFP reported. Syria has claimed that its air defense network intercepted several of the missiles fired by the IDF, adding that a Syrian “military position” had suffered damage in the attack. 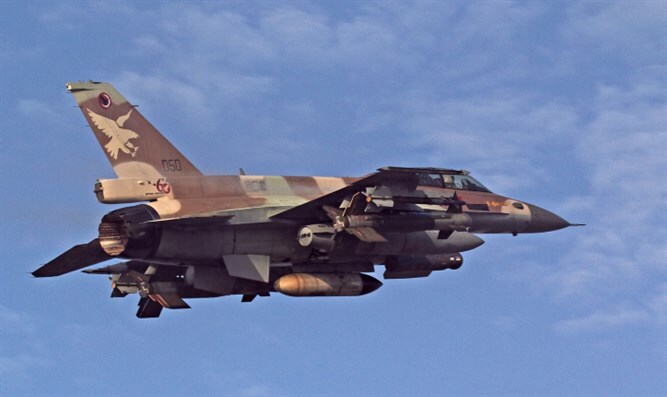 Syrian officials also claimed to have scored a hit on an Israeli aircraft. The Syrian government later issued a formal statement on the incident. "At approximately 2:40 a.m., the Israeli Air Force fired a number of missiles over Lebanese territory at Al Qutayfah, in the suburbs of the capital, Damascus. Our air defense systems responded and hit one of the planes." Syria also claimed that Israel fired two surface-to-surface missiles at 3:04 a.m., followed by a barrage of four missiles fired at 4:15 a.m.
"Some property was damaged as a result of the interception of one of the missiles near one of [Syria's] military posts." The IDF has not yet responded to the claims. The target of the alleged Israeli attacks is believed to house some of Syria’s Scud missile stockpile. Scud ballistic missiles, originally developed by the Soviet military, can be armed with either conventional warheads or weapons of mass-destruction – including chemical or nuclear weapons. Last month, Syria claimed Israeli aircraft fired several missiles at a regime military facility south of Damascus. Syrian state television reported that "the Israeli enemy at 12:30a.m. fired several surface-to-surface missiles towards one of the military bases on the outskirts of Damascus."